Greetings, Stampers! It's time for another challenge at Seize the Sketch, and this week the talented Vicki Dutcher has a great, simple sketch for us! So many possibilities! 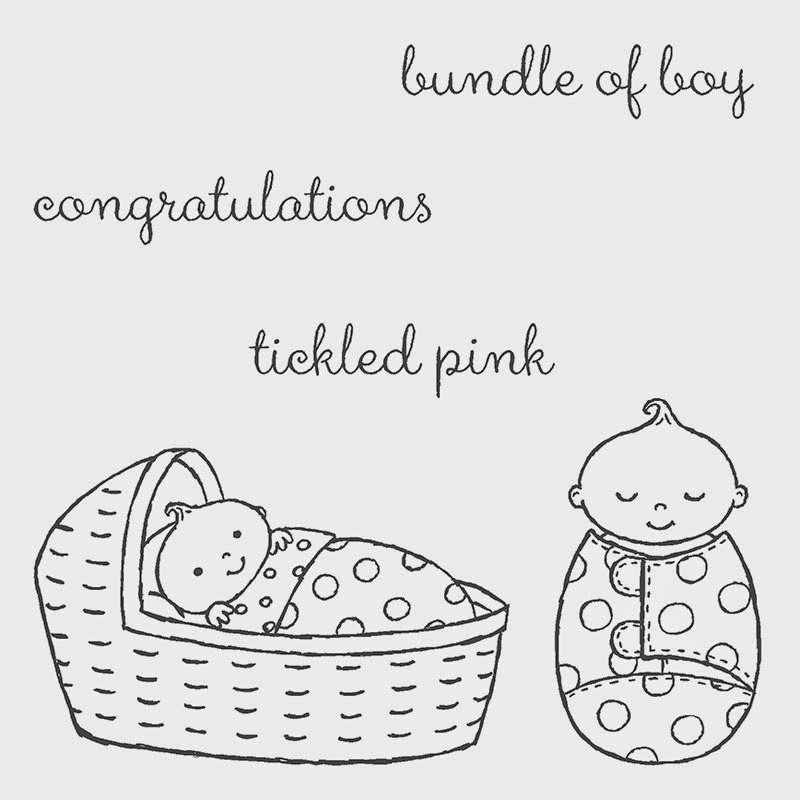 I decided to ink up a brand new stamp set for the first time, Bundled Baby. The images and sentiments in this set are just adorable! 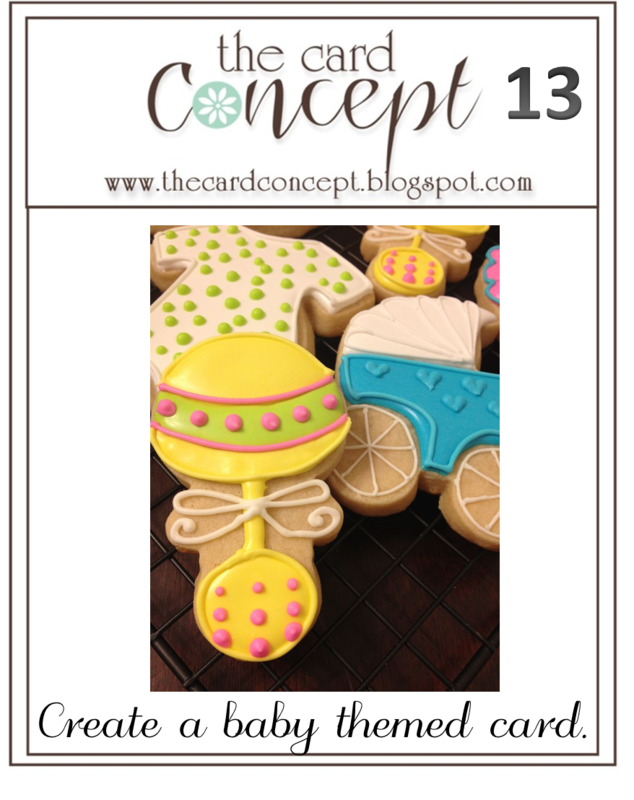 I'm also playing along with the baby theme challenge at The Card Concept. I think my card falls into the Clean and Layered category though I'm not quite sure. Perhaps the DT can tell me! Look at this little bundle of cuteness! I stamped the image and sentiment on Watercolor Paper with Black Stazon Ink, and colored it with Ink Pads and an Aqua Painter. There is a very faint shadow of Soft Sky around the entire baby. 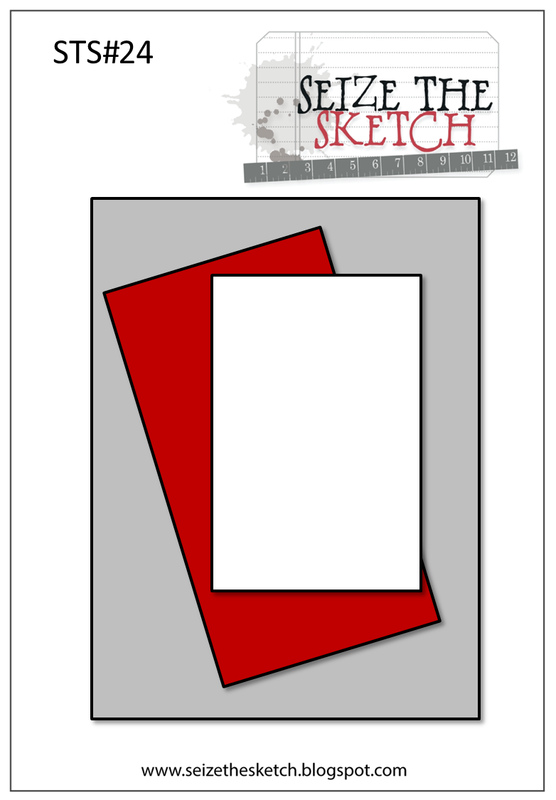 We hope you'll play along with us this week at Seize the Sketch! Please pay a visit to the rest of the amazing Design Team, too! Love this sweet baby stamp set sandy! Beautiful card, loving the pink polka dots and pretty white doily! 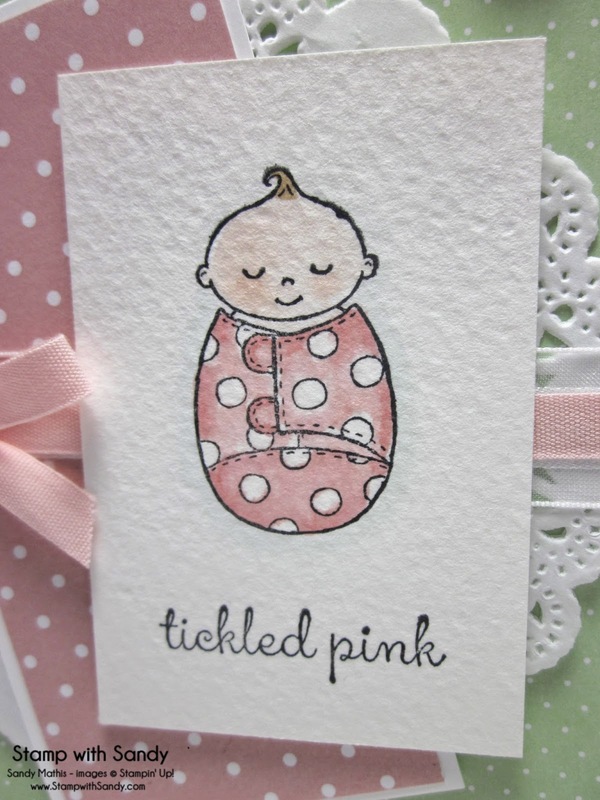 Love that textured paper you used and that baby image is too cute. Super, super cute; just adorable! TFS! Oh, what a sweet baby card. I love the watercolored little bundle of joy! This is just so sweet! Love how you watercolored that adorable baby image. What a darling little bundle, Sandy! The doily in the background is the perfect touch! So very sweet Sandy! That little image is darling! What a delightful card, Sandy! I love the soft colours and your watercolouring. darling...what a great take on this sketch! !